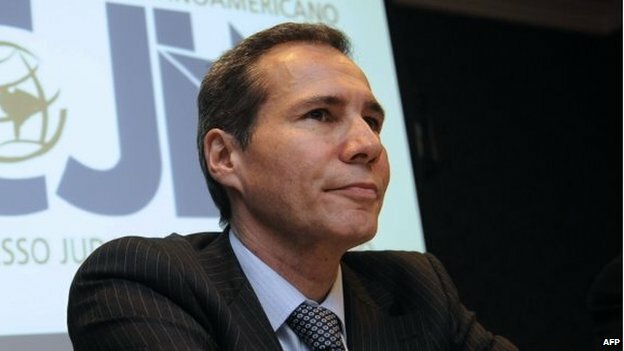 Dr. Alberto Nisman, an Argentine legal jurist and prosecutor, alleged earlier this month that President Cristina Fernandez de Kirchner’s government was involved in covering up one of the biggest terror attacks in the country’s history. Four days later, he was found dead in his apartment with a gunshot wound to his head. 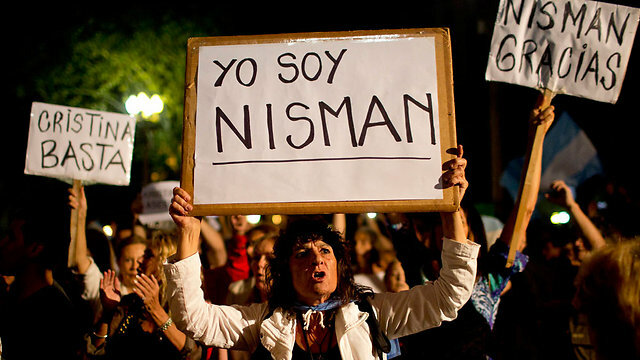 Dr. Nisman was a government-appointed prosecutor solely tasked with investigating the bombing of the Associación Mutual Israelí-Argentina (AMIA). 20 years ago, a bomb at the AMIA (the largest Jewish community center in Buenos Aires) killed 85 people and left over 300 wounded. The bombing created a profound societal wound which still hasn’t healed completely, not just because a similar bombing at the Israeli Embassy in Buenos Aires two years ago left 29 dead and 242 wounded, but also because Argentina suffered a great deal of state-sponsored terrorism during the dictatorship. Dr. Nisman’s investigation had concluded that elements within the government of Iran were the intellectual authors of the bombing that the terrorist group Hezbollah was accused of carrying out in Buenos Aires. To that effect, in 2007, INTERPOL issued five arrest warrants to senior Iranian government officials — including a former Defense Minister. However, not surprisingly, none of the orders were ever carried out and no suspects were brought to justice. The officials in question not only enjoyed Iran’s protection, but were also able to travel to other countries without the fear of arrest. The bilateral relations between Argentina and Iran have been rather complicated due to the AMIA bombing. Argentina, historically, has demanded that Iran give it access to the suspects and honour its INTERPOL commitments. However, in 2013, the two governments engaged in a rapprochement which, among many things, included a deal which would settle the AMIA question in a manner inconsistent with Argentina’s longstanding policy on the issue. Under the agreement, the suspects would not face Argentine justice and would only be “interrogated” without possible consequences such as preventive custody. This agreement, therefore, limited the leeway the prosecutors had, preventing them from obtaining the truth and undermining the entire Argentine criminal justice system. Needless to say, it was adamantly opposed by the entire political opposition who voted almost unanimously against it in Congress. It is important to note that the entire negotiation process bypassed Nisman and his office, which meant that the people who were the most qualified to negotiate this issue on Argentina’s behalf were excluded. It may be viewed as an act of hypocrisy for a government that claims to respect the rule of law, democratic values and human rights, to negotiate directly with people that its own legal system has accused of committing acts of terror. This should, however, not come as a surprise, given the fact that President Fernandez de Kirchner has adamantly supported the some of the vilest dictators in the world, including Bashar Al-Assad and Mohamar Gadhafi. It is within this framework that Dr. Nisman was scheduled to appear before Congress on the 19th of January to formally accuse the President and the foreign minister of smothering the investigation and negotiating with Iran the lift of the INTERPOL arrest warrants in exchange for a set of trade and oil agreements.After the tragic loss of Dr. Nisman, it is more important than ever to, firstly, investigate the cause behind his death and secondly, analyse the evidence he was set to present. Should there be enough evidence against the government, they should be prosecuted to the fullest extent of the law, because a cover-up of this magnitude would violate a number of international treaties and domestic laws. The investigation into the Dr. Nisman’s death is still ongoing and it would be rather imprudent to make definitive claims that the government was responsible. However, the timing of his death, along with the fact that he went on record not long ago and claimed that he had received death threats do raise certain questions. Furthermore, the Argentine government has also been behaving in a rather irresponsible manner, heavily pushing its suicide theory well before the facts are clear. Nevertheless, this death will significantly affect the political landscape in the country because the government won’t be able to free itself from suspicion — particularly if any part of Dr. Nisman’s findings turns out to be true. 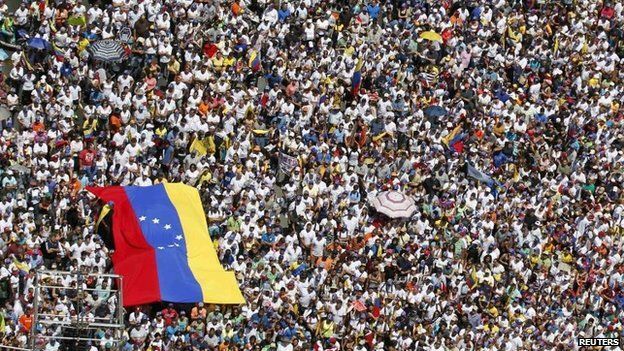 The aftermath of this incident is still unfolding, and as of this writing, there were multiple protests across the country, with the congressional opposition bitterly lamenting what had happened and demanding a thorough investigation. For now, opposition lawmakers, the Jewish community and the general public should invest all their efforts to ensure that the authorities conduct the investigation flawlessly in order to ensure accurate results. The AMIA bombings have left wounds which are not fully healed, and 20 years later, an entire country demands justice. While the loss of Dr. Nisman will certainly shock his office, it must not hinder the investigations. Two decades on, Argentina deserves to know the truth. Diego Salama was born and raised in Cochabamba, Bolivia. He is currently engaged as a Research Assistant to the Education Director at United Nations University (UNU-MERIT). He studied International Relations at University College Maastricht and is currently pursuing an LL.M in International Law at the Maastricht Graduate School of Law. Prior to his current engagements, Diego worked for the United Nations Information Centre in Lima and he served as Secretary-General of the “VIth EuroMUN.” Diego is also an international affairs columnist for two national circulation newspapers in Bolivia where he publishes a syndicated column on Latin American politics and foreign policy analysis. He joins InPRA as an expert on Latin America.